WELCOME TO DAY 12 (the last day)OF MY 12 DAYS OF CHRISTMAS DECORATING, CRAFT AND GIFT IDEA CHALLENGE. 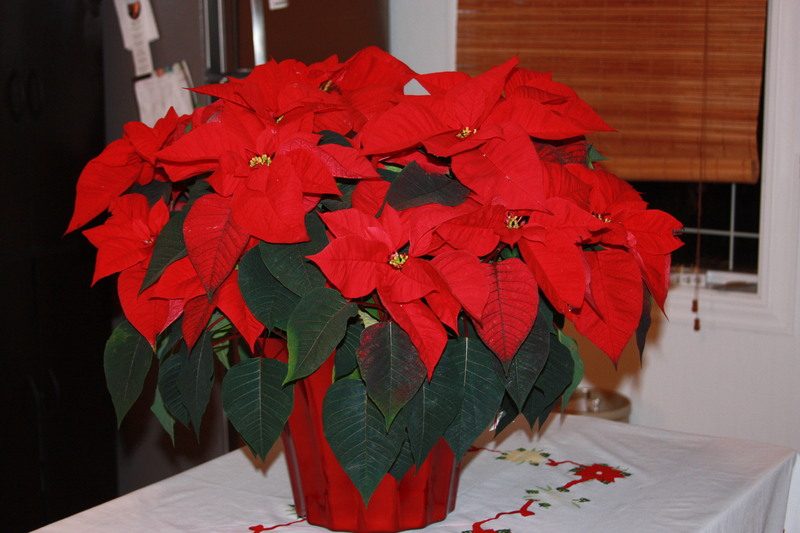 Look at this BIG pointsettia I purchased at Costco this year for $19.97, isn’t it a beaut?? I was foraging around in the basement and saw the Coca-Cola crates (we have three) staring at me and I immediately knew how I was going to display the pointsettia. The crate I chose to use is the only one we have that has red lettering and I think the choice was a no brainer on my part. I added garland around the bottom of the crate and attached a few ornaments, simple, easy and elegant. It found it’s permanent home for the holidays in the Living Room in front of the window where it gets all the light it needs and I can see it and enjoy it. This is one of my favorite decorative items this year. 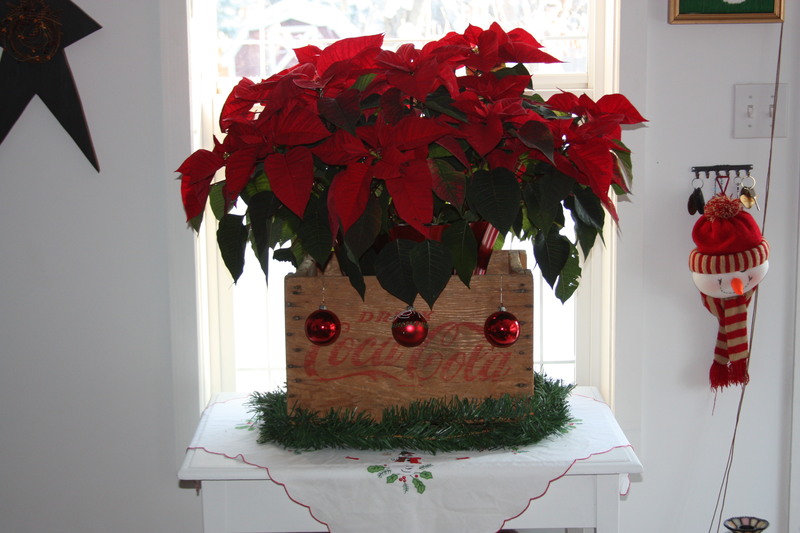 This entry was posted in Decorate, DIY and tagged antique, challenge, Challenges, Christmas, coca-cola, Crafts, Decorate, display, DIY, easy, living, red, repurpose, reuse. Bookmark the permalink.